Adam Jones is a highly experienced knitwear designer who studied at Brighton University. He began his creative career designing knitwear at Kenzo before moving to Christian Dior where he directed the knitwear department for 8 years. In 2001 he launched Adam Jones Paris, a luxury womenswear line, which he presented in Paris as an invited member of the “Federation De La Haute Couture Française”. Until 2009 his collection was sold worldwide in prestigious boutiques including Barney’s N.Y, Brown’s UK, Corso Como, Joyce and L’Eclaireur. 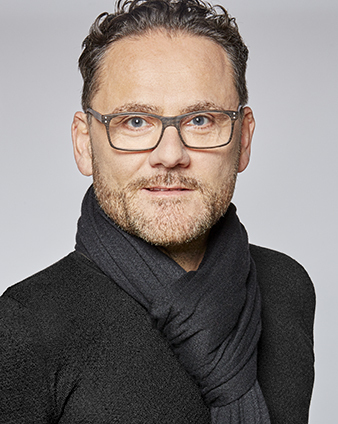 As well as running an international fashion consultancy business he has created designer projects for Uniqlo under the Adam Jones label. He is currently creating and directing the knitwear B.A. and M.A. courses for “L'Institut Francais De La Mode” in Paris. He is also completing a Post Graduate degree in “Academic Practice of the Arts” at University of The Arts London.